You Made A Difference and Stopped the Changes…Now Help Us Be The Solution!!!! IMPORTANT INFO IN THE EMAIL!!! May 21, 2015 — On May 20th, 2015, the ALSDE Special Education Services Department released an official statement to Trish Crain with Alabamaschoolconnection.org. This statement reads, "There has been some discussion about the SEAP agenda including a discussion on “proposed changes” to the AAC. At the time we responded to your four questions on April 9, 2015, that was our plan. However, since that time we have put all work towards revising the AAC on hold. Therefore, the ALSDE will not be discussing AAC changes because there are no changes being proposed at this time. We do welcome public comment on any special education issue from 11:45 to 12:45." The Alabama Disabilities Advocacy Program (ADAP) released an excellent article that included a statement from the ALSDE, as well, that provides a detailed description of what has occurred over the past few months. We will find a way to post that article on social media and the web pages that will be listed below. In the article, it reads "bottom line: the Section [Special Education Section of ALSDE] is not proposing any code changes to the due process rules." We are so proud and appreciative of all of you and your families for signing this petition and for sharing your personal reasons for signing. There is power in our collective voices and in our stories. Please continue to share them and be involved and help us be that solution. Now that this is over, it is just as important to recognize some of the concerns of the ALSDE that have merit. We must now find a way to help them address and alleviate some of those concerns. There are things that we can do to be better advocates for our children and we need to offer and be solutions to the ALSDE. We must commit to be a better partner in this process than what we have shown in the past. If the events of the past few months have confirmed anything to us, it is that the process is broken and the lines of communication with the State Department are not getting to the parents in a tangible and positive way. This will require all of us to look at the organizations, support groups and non-profits that we, as parents, have been relying on and supporting throughout Alabama. The established ones have largely failed us and their missions unclear. We must be more attentive, watch the watchers and reinvent how our support groups, non-profits and organizations operate to ensure that our children and families benefit. We want to thank ADAP (specifically Nancy Anderson) for being the first to raise the alarms of concern. She worked collaboratively with the State Department and parent attorneys to provide input and be a critical conduit. We discovered that James Gallini and Gina Lowe of The Gallini Group and Deb Mattison and Rachel McGinley of Wiggins Childs Quinn & Pantanzis spent countless hours of their own time to create a parent-friendly and a complete legal analysis on those proposed changes. They are working and fighting for our interests and are part of this proactive solution. We are eternally grateful to them and appreciate their commitment to helping our children. In discussing where to go from here, we believe that all of us need to stay in contact in case something like this happens again and a call to action is needed. We urge all of you that want to stay informed or become more involved in this process to go to alabamaautism.org and/or kulturecity.org. You can sign up to receive email alerts or ‘like’ our respective social media pages. This will tie us together as we create a new way of advocating that is effective and child-centered. We are excited to announce that alabamaautism.org and kulturecity.org will be collaborating and offering a home for parent support groups. This collaboration will offer training materials, free activities, community opportunities and support for the new parent support groups and families across Alabama. We will assist these groups in their fundraising efforts to where the overwhelming majority of the funds raised are kept within that local support group to help and benefit the families in that geographic area. This is the time to create something new and effective and rethink how we advocate for our children. Now, what will you commit to do? What idea do you have that will help your school, help your community, help your children? It is through this energizing and positive collaboration that we can work together, with the State Department, to solve all of our problems. A reduction in funding to special education may be our new reality so we must find new and proactive ways to alleviate growing pressures on our education staff so they can serve our children appropriately. We can be that solution through being smarter advocates, attending training opportunities, and supporting the organizations, support groups and non-profits that actually help and produce tangible benefits through their action. It’s easy to talk but harder to walk. Find out how you can be a member of the SEAP Board. They offer the ability to participate via video-conferencing so this would not any of us from being a member or, at least, participating in the meetings, which are held twice a year. This is just one way to be part of the solution. As a final thank you, we appreciate parents like Benjy Crim of Huntsville, Gwen Brown of Birmingham, Barbara Calhoun of Birmingham, Dustin Chandler of Birmingham, Julian Maha of Birmingham, and Susan Ellis of Birmingham for their time, ideas and communication. There are a myriad of parent leaders out there that, once the petition was put out, went to work getting it distributed and called upon their contacts. We will send out one or two more updates via this petition to keep you informed but we do urge you to log on and provide us contact information so we can include you on future updates or opportunities for involvement as we remake the advocacy landscape across Alabama to where it serves our children first. Once again, log on to alabamaautism.org and/or kulturecity.org and we will make you one of our parent warriors and advocates in our movement to create positive and tangible solutions. 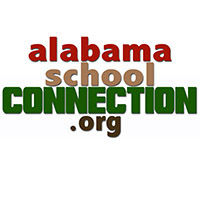 We urge you to get your education news from alabamaschoolconnection.org. Personally, we are humbled and moved by all of you and what we can accomplish together. Please share this on social media and with family/friends!!! Thank you from us all!!! Congratulations and Thank you to all that have supported this petition. ATTENTION: THE STATE DEPARTMENT OF EDUCATION DID IT AGAIN!! !